Are you having issues and problems in your sleep? Are you finding it hard to fall or stay asleep? Well this book will be your ultimate guide in determining whether you are suffering from sleep apnea or not. 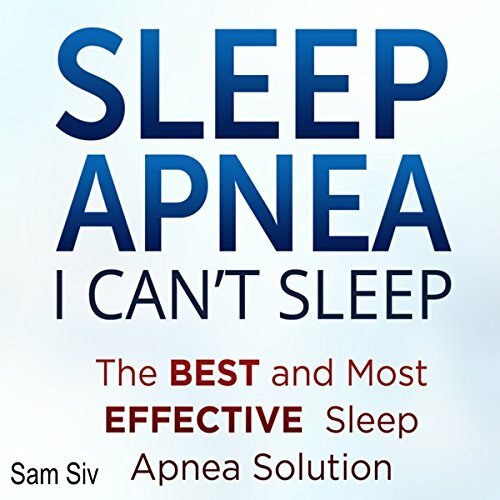 What’s more is that this book will help you in treating your sleep apnea in less than a week! Yes you heard it right, in less than a week! Sleep apnea has been a hidden problem for many people around the world. You are probably one of those people who took some time before realizing that you actually have this kind of disorder. I actually listened to this book twice. I definitely had to get past the narrators style/voice. It was irritating to me but at the same time had a mesmerizing quality to it. Most of the information was intuitive. I would recommend if you are seriously considering getting a cpap machine to read for motivation. Yes, I will recommend this audiobook to a friend because it's the same problem we are experiencing, having not enough sleep. This audiobook will better help us with our dilemma and will keep us motivated throughout the day in order to get best sleeps at night. Sleep apnea affects our everyday activities, so being able to find solution to lack of sleep is really a great reprieve. Thanks for this audiobook! Have you listened to any of Christy Lynn’s other performances before? How does this one compare? I have not listened to any of Christy Lynn's other performances; however, I am now definitely a fan! I have read some of Sam Siv's books before and I did not think that they could get any better until listening to Christy Lynn's narration. Yes. I had set aside time in my day to listen to this in one sitting. Despite the fact that there is a lot of information, it is definitely engaging enough to listen to in one sitting. Between Sam Siv's writing style and Christy Lynn's easy to follow narration this is easily one of my favorite informative books. I purchased this audio-book so that I could take a look at what had caused my Sleep Apnea as a child. I learned a great deal and I loved all of the additional information that I was able to take away from this. This is definitely one of those books that anyone interested in the topic should purchase. What did you love best about Sleep Apnea? I liked all the information on symptoms of sleep apnea. I found all the information on how to combat sleep apnea. Such a cpap machine or on positions to (or not to) sleep in. Christy Lynn did a great job with adjusting her tone to fit the subject on Sleep Apnea.